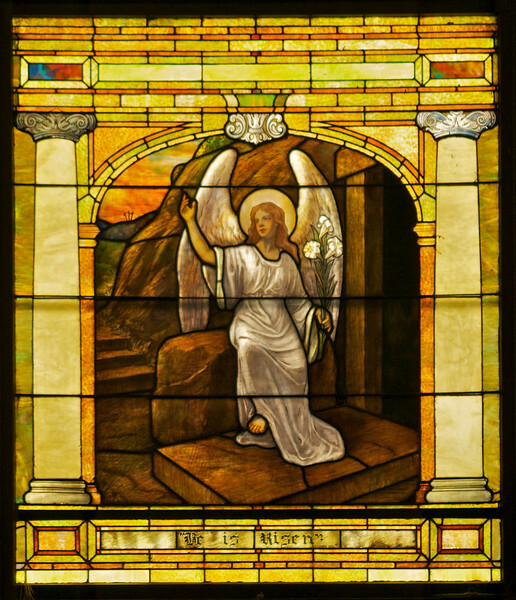 The angel praying at the empty tomb. This is Dan's second try at taking a photograph that doesn't show the shadow of the support bar across the front of the window. It is not perfect, but better than the first one.